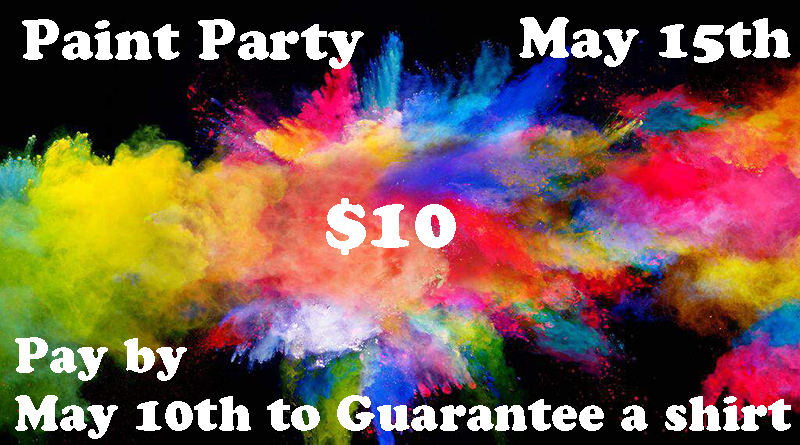 May 15th 8:30 PM – 10:30 PM by the Concession stand at the Football field. It’s $10 a person and that includes the shirt. $15 at the door and no guarantee of getting the shirt. Must have an SCHS Student ID to get in!